A very cool idea for a book – a "discobiografia" – a volume that's both a discography of the legendary Brazilian band Os Mutantes, and a biography of the group and all of its members, told through its music! 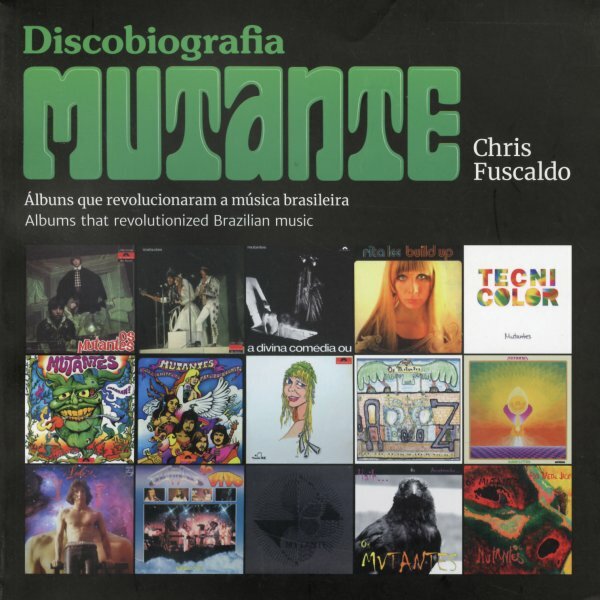 The book's written by Chris Fuscaldo – a Brazilian musician herself – and features both English and Portuguese versions of the text, laid out side by side, which makes for a great way to read the book – and each chapter focuses on a different album, but then adds lots of other information about the group and individual members! In addition to charting the course of Os Mutantes – including some of their revival records of later years – the book traces early solo albums by Rita Lee and Arnaldo Baptista – who definitely deserve their own chapters. The book is 243 pages, full color throughout, and also features a bonus CD of music by Chris Fulcado – her album Mundo Ficcao, for Warner Brazil! © 1996-2019, Dusty Groove, Inc.